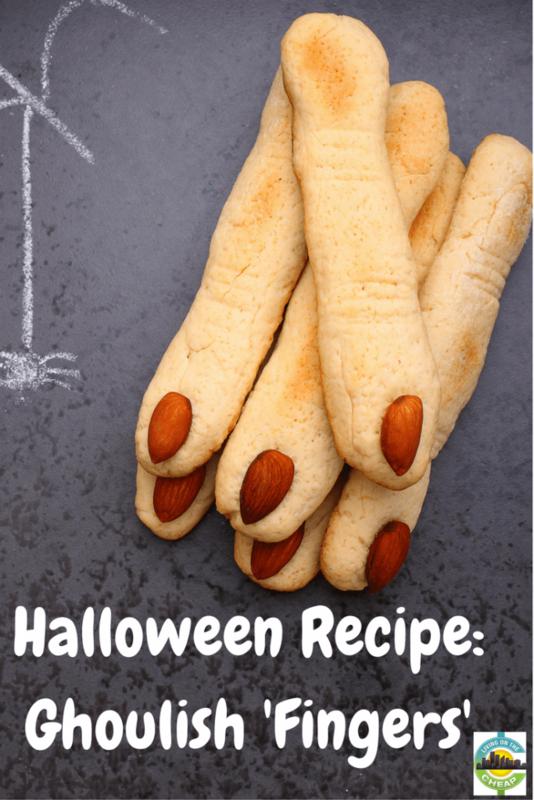 These creepy fingers are the perfect centerpiece for a Halloween party, but they are also tasty. The crisp, almond-flavored shortbread tastes even better after being stored, so make these ahead of time. 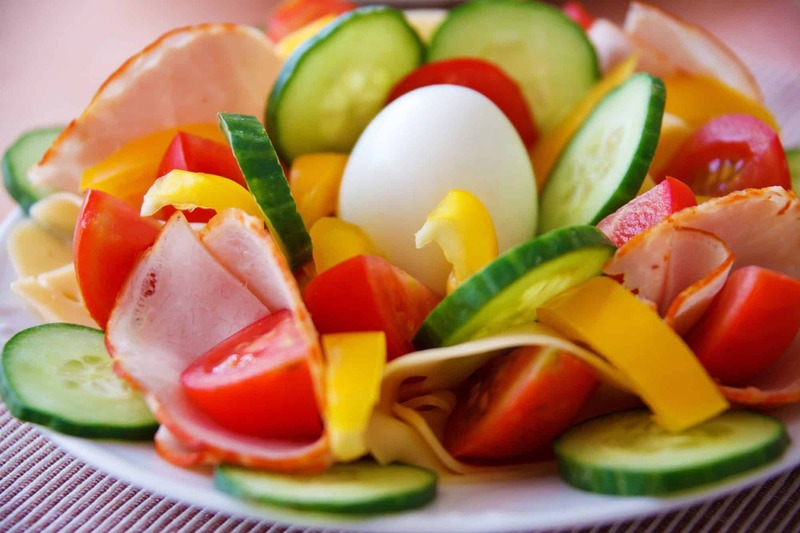 Kathy Mayers of Portland, Oregon, developed this recipe and took the pictures. They are used with her permission. In bowl, beat together butter, sugar, egg, almond extract and vanilla. Beat in flour, baking powder, and salt to make a very stiff dough. Cover and refrigerate 30 minutes. 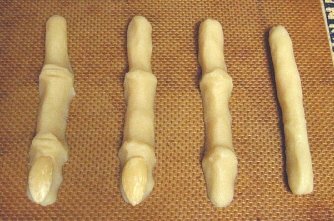 Working with one quarter of the dough at a time and keeping remainder refrigerated, roll heaping spoonful dough into a thin log shape about 4 inches long for each cookie. Squeeze in center and close to one end to create knuckle shapes. 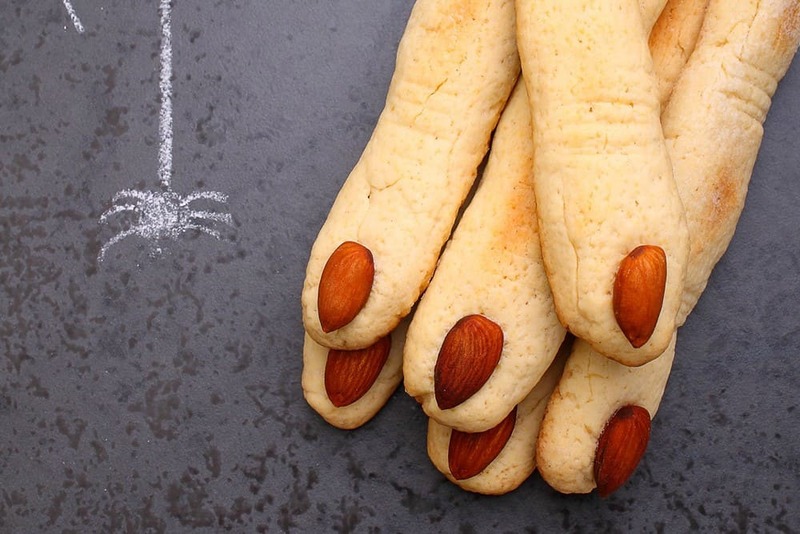 Press almond firmly into the end of the cookie for nail. Using paring knife, make slashes in several places to form a knuckle. 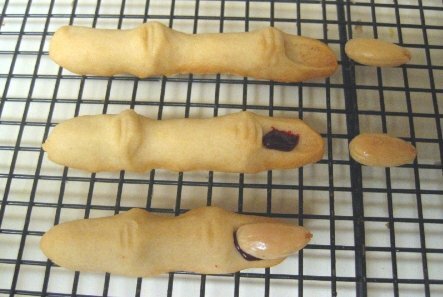 You want the fingers to be a bit thin and gangly looking, since they’ll puff a little when you bake them.